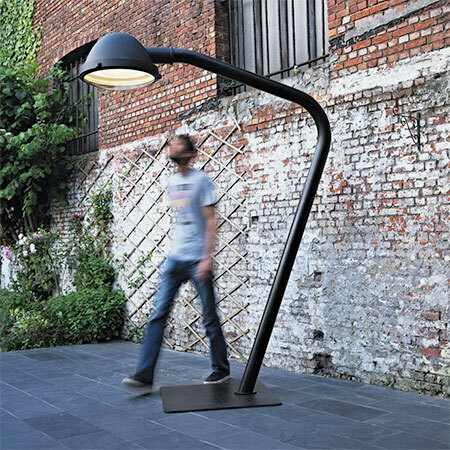 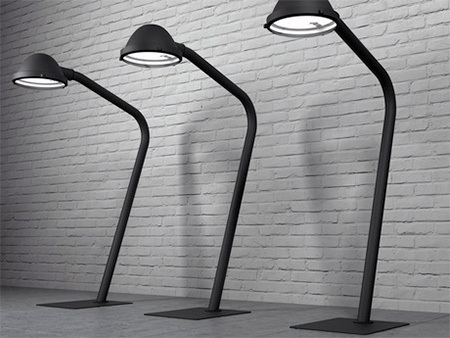 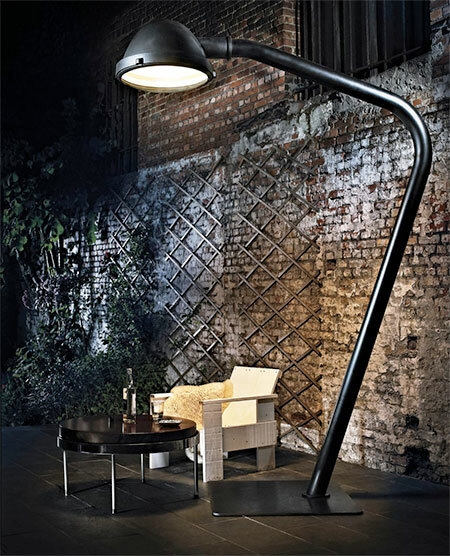 Oversized lamp designed for indoor and outdoor use looks cool and provides enough light to illuminate your entire neighborhood. 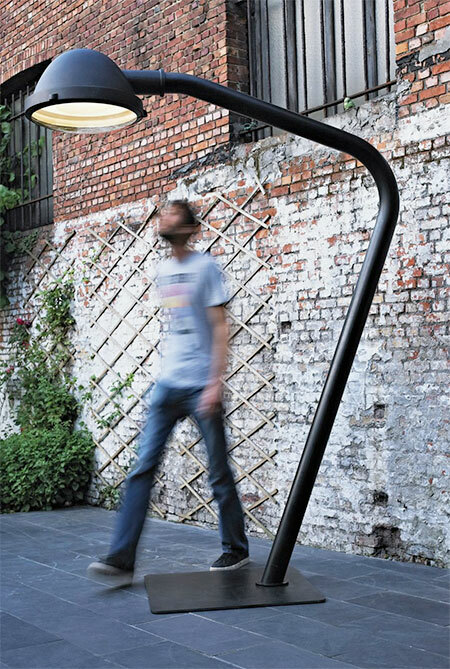 The Outsider lamp made out of powder-coated steel, cast aluminium, and clear window glass. 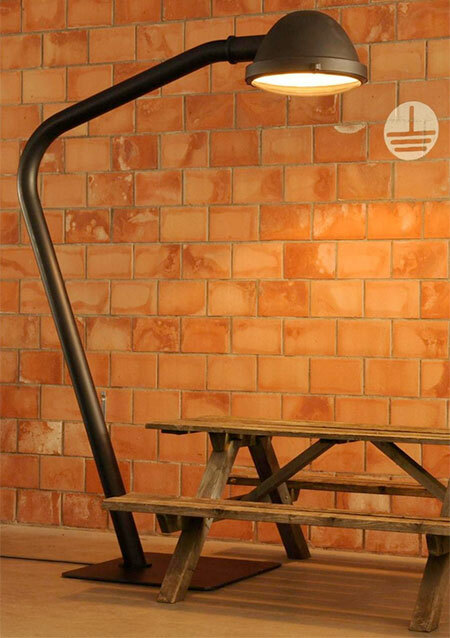 Designed by Jacco Maris.